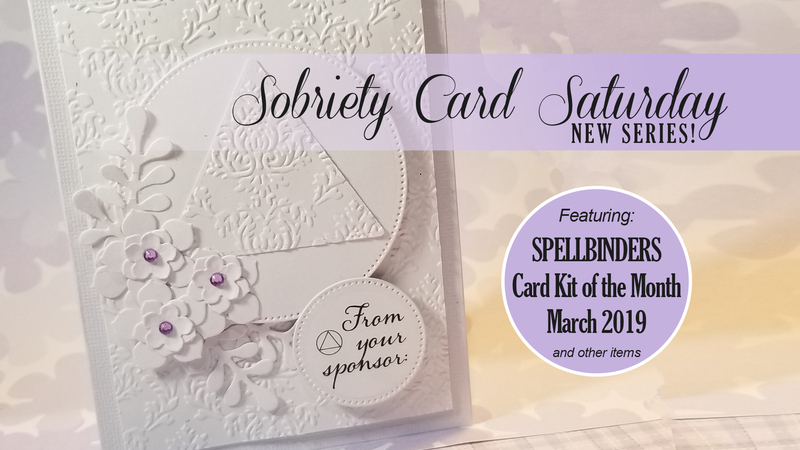 Today I decided to start a new series called “Sobriety Card Saturday”. This way, you’ll know when to expect it and it will keep me on track with this YouTube journey. The video will show me making a card that would work for people in recovery. The audio will be me talking about the card I’m making (teaching cardmaking). I’ll then sprinkle it with my personal take on various topics. The topics will be different every week, but they will always be sobriety related They will always be comments from my own real and personal experiences and I suspect they will have a long shelf life. I’m also encouraging questions and answers in the comment section. The topic for this week is One Day at a Time.